The son of an accomplished racing father, Jesse is one of the next generation of great Finnish racing drivers. His fierce look gives away his fighter’s spirit, but a clever sense of humor makes him a welcome addition to any racing team. Beginning in karts and progressing through open wheel machines, Jesse began his GT career in 2010. 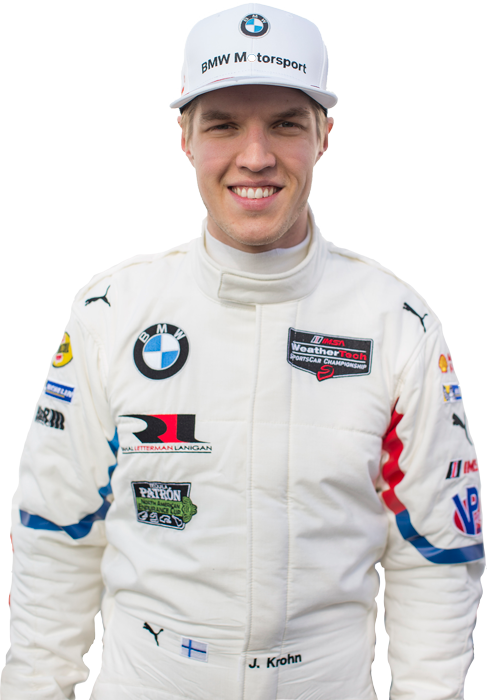 A graduate of the BMW Motorsport Junior program, Jesse joins BMW Team RLL in 2018 after racing BMW GT cars in more than five series worldwide last year. Well known to BMW fans in the US as a Turner Motorsport driver, Jesse co-drove a GTD class Turner Motorsport BMW M6 GT3 in seven events in 2017, winning at Road America. Continuing to support BMW teams worldwide, only one week after testing at Daytona with BMW Team RLL, he co-drove a BMW M6 GT3 to an Asian Le Mans Series victory at the Six Hours of Buriram in Thailand.